The city that never sleeps? Oh wait, that's New York. Marbella comes close though, with its reputation of having a great nightlife. Viva la vida is certainly what comes to mind when visiting this Spanish City, as you relax during the day and party at night - what more could you wish for? Carry on reading to see what things you can get up to when visiting the beautiful Marbella. As it's your first day in Marbella, a trip to the beach is a must, so wind down on a sun bed and take in the fresh air at Los Espigones, a simple beach "resort" where you can rent a sun bed for 10€ from 11AM to 5PM. From Rosas Café you will walk down Avenida Playas del Duque, turn right down Avenida José Banús and to the right at the roundabout at Arrabal a. Cañas-F Rodeo. Walk down for seven minutes and you will reach Los Espigones. Lunch: Chiringuito Los Espigones [Playa Nueva Andalucía Marbella, 29660]. Are you ready for one of the best mediterranean lunches you will ever have? 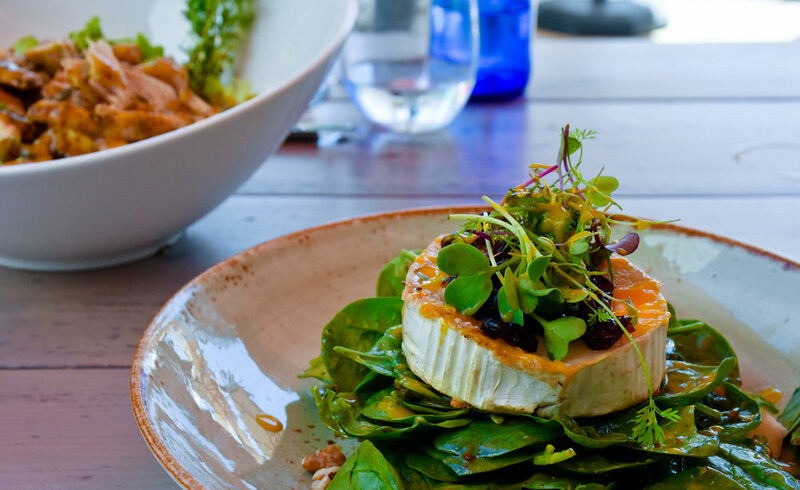 The Chiringuito Los Espigones delivers some of the most authentic, delicious sea food you will find here in Marbella and for an exceptional price. Dishes you must try are: Tortilla Española, Gambas Pil-Pil, Almejas Salteadas (clams sautéed in a garlic and lemon), Almejas Peregrinas a la plancha (small grilled scallops) and finally the fritura malagueña (an assortment of fried fish typical of southern spain). To drink I would highly recommend the typical white sangría, a refreshing drink to company the sea-food. In the afternoon again, chill by the beach and take a siesta before heading home and preparing for the night. Before you head home, stop by Sala By the Sea, two minutes away from los espigones and have an iced cold beer on the beach. There are various places to have dinner in Marbella, but one that really stayed in my mind is Zozoi. We came here for a friend's birthday and wow is the food amazing. Not only did they have a wide range of delicious Italian dishes but also the cocktails were extremely original. We ordered a few starters to share including beef carpaccio, burrata, scallops and a fresh salad. In terms of mains, the spaghetti with burrata went down a treat with my friends. I chose grilled fish, however other delicious mains are the sea-bass poached with cream and black truffle or the sirloin steak, served with Belgian fries. If you've read my posts before you will know that breakfast, or "smoothie bowls" are my important meal of the day, so of course another place that I will recommend to visit is Rachel's, a venue that pays extreme attention to detail in their food. Located in Puente Romano beach resort & spa, Rachel's will blow your mind with their delicious food and drink options. Ranging from açai bowls (€8,50) and poached egg and ham on avocado on toast (€12), to a variety of novelty toasts (€4) and waffles (€12), there will definitely be something you fancy on their menu (vegan and gluten free options available). On the drinks menu you will find your usual juices and smoothies (€4-€10) and lattes (€4-€5). Today is more of an active day, as Marbella Old Town is so beautiful that you must take a walk and appreciate the typical Andalusian surroundings. You can get lost down the narrow cobbled streets and white buildings that house various shops selling your typical hand-made clothing, jewellery and accessories. Furthermore take a minute to admire the Orange Square, known as "Plaza de los Naranjos",home to the city council and various restaurants. Take a look at the beautiful gothic façade of the city council whilst being surrounded by the numerous orange trees and peacefulness of the square. Similarly don't miss the sand stone fountain lying in the middle of the square, that was built in the beginning of the sixteenth century and commissioned by Christian Marbella, the first Mayor of the city. Just off Plaza de los Naranjos" you will see Calle Carmen, another beautiful street in Marbella Old Town, with little flowerpots hanging on one side of the street, definitely something worth photographing. On the other side of Calle Carmen, in Plaza Iglesia, you will reach the most important church of Marbella, named "Iglesia de Nuestra Señora de la Encarnación", built around 1505 but not completed until 1756. An example of baroque architecture, this beautiful church has a 33 metre bell tower and several important chapels in its interior. On the exterior however, the church bares a majestic ocher stone entrance built in rococo style of the eighteenth century. From Iglesia Square you walk down Calle Álamo, turn left down Nueva, turn right into Calle Gloria, left down Calle Valdés, turn right when you reach Padre Francisco Echamendi and left down Calle África. You will be standing facing el Parque de la Alameda. You will walk through this park, admiring the tiled benches, and you will reach Avenida del Mar. Don't forget to admire the beautiful statues situated down the Avenida that were sculpted by Salvador Dalí. From the bottom of the Avenida you will turn right and walk down Av. Duque de Ahumada which will become Paseo Maritimo. This avenue is filled with restaurants and cafés on its right hand side and the sea with the Puerto de Marbella on the left. This avenue will lead you to your lunch spot. "Food is the Foundation of Your Health" states Manuka, an ethical based restaurant whose concept lies around clean eating and healthy living. The menu contains a wide range of plant-based meals providing both delicious and nutritious breakfasts, lunches and dinners. Delicious starters I could recommend are the Smoked Aubergine served with tahini dressing, pesto and hemp seeds (€8,90), Pil Pil Prawns (€8,50) or the Tuna Poke, tuna tartar from Barbate (a local town known for its tuna) on a bed of organic brown rice and avocado (€15,90). Mains range between vegetable and protein bowls (€10,90-€14,90), Wagyu beef burgers (€15,50), Vegetable burgers (€11,90) and Spiralized Zucchini Pasta (€10,90). Manuka also serves a delicious variety of salads, such as the Goats cheese salad (€10,95) that I ordered, or opt for a fresh salmon ceviche salad (€13,90). Finally, if you're into deserts then you've come to the right place, you should try their Carrot Cake (€4,50). In the afternoon I would recommend walking off the lunch and discovering more the scenic city of Marbella. Take a walk up Calle Ortega y Gasset and turn right at Carretera Nacional - Here you will find numerous shops to look at before catching the bus on the opposite side of the road to Puerto Banús. Puerto Banús is an elegant street, famous for the expensive boutiques, numerous bars and yachts parked alongside the port. Puerto Banús is relatively new on the scene, designed by José Banús in the eighteenth century. Come here for the afternoon and enjoy the delightful backdrop of yachts entering and exiting the port, discover the various small boutiques and admire (if you like cars like me) all the insane Bentleys and McLaren's parked up. Walk down to the Mirador del Muelle de Honor and again take in the gorgeous views. When it is time, walk two minutes to Conjunto Benabolá and you will find the restaurant for dinner. Baalbek is a middle eastern restaurant whose name derives exactly from the city of Baalbek in Lebanon. My best friend who is partly Lebanese took me to this restaurant so I can assure that if you like Lebanese then this is the place to be. We ordered an existential array of foods to try, and for some reason at Lebanese restaurants you always order too much to handle, but it was the tastiest Lebanese food I have had in a long time. Dishes I ordered were: Hommos (€6,50), Moutabal (€6,50), Fattoush (€9,50), Mousakaa (€6,50), Falafel (€7), Arayes (€8) and Warak Inab (€9,50). For individual dishes look at their menu . If you're not a Lebanese fan and would like to try out a traditional Andalusian Paella then you must try Alabardero. I tried the seafood mixed paella, a dish definitely worth trying. Yet another awesome café you need to try out when coming to Marbella is Hustle n Flow, located in the heart of San Pedro. I fell in love with this spot from where I saw its Instagram feed (gosh Instagram really makes the world go around these days). The contemporary interior decor reflects the exquisite, modern and healthy menu. Both eatery and bakery this venue serves incredible foods served with their wide range of artisan baked breads such as protein, olive sourdough, multi cereal or gluten free. You can choose to pair this bread with your choice of eggs, whether poached or scrambled. Other savoury options include Roasted red pepper and walnut spread served with toasted cashews or Smashed avocado served with sprouts, red onion & sesame seeds. For something sweet, I recommend trying their blue eyed girl bowl, made with Organic coconut pulp, banana, spirulina, dates, vanilla and coconut milk. A more wintery option that I recommend is their Gluten free oats simmered in coconut milk with apples, cinnamon & spices. Drinks on the other hand include a variety of different smoothies, juices and, as I ordered, matcha latte. If you ask anyone to recommend you a good lunch location, chances are they will say El Ancla. Not only for the fantastic ocean front view yet also for its delicious selection of seafood and competitive pricing. Delicious seafood options include boquerones al limón (€14,30) amongst the starters and escupiñas amongst the mains (€13,20). El Ancla also serves a selection of sushi, sashimi, tartars and, my personal favourite, tataki. In the afternoon, lay back, relax and enjoy your life by the pool. Order a glass of cava (or two) and a delicious fruit platter (€27,50). Located in the heart of the old town of Marbella is Casanis, a darling restaurant serving mediterranean specialities. Probably my favourite restaurant I had been because of its location, atmosphere, attentiveness of the staff and of course, exquisite food. The chef pays a lot of attention to the flavour of the food, carefully selecting and adding delicious condiments that really compliment the dish. For starters, we chose one of the daily specials which were mussels and Nems Vietnamitas (similar to spring rolls). For our main course, I selected the tuna steak (€28) served with artichokes whilst my friends chose two specials: tagliatelle with truffle sauce and salmon with a teriyaki sauce. Other things to try are the beef tartar (€22); duck confit (€21) and grilled codfish (€26). Nightlife: As I mentioned in the opening to this post, Marbella is also well known for its nightlife. Playa Padre: Open from around 7-12, this place is awesome. Located on the beach, you buy your entry at the door (usually between 20-40 euros including a drink) and you'll be partying in one of the coolest spots of the city. The music is usually house and the best nights are Thursday and Sunday. Momento: Partnered with Playa Padre is Momento, a beautifully designed club with a spacious outdoor terrace. Here you're guaranteed a great night. Olivia Valere: Another buzzing club in Marbella, I haven't personally been here but my close friends have, and I have heard great things about this place!